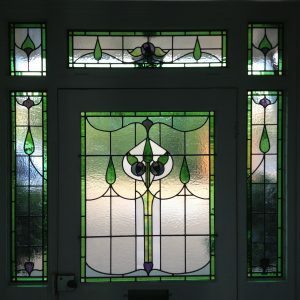 Art Nouveau Front Door, Surrey. 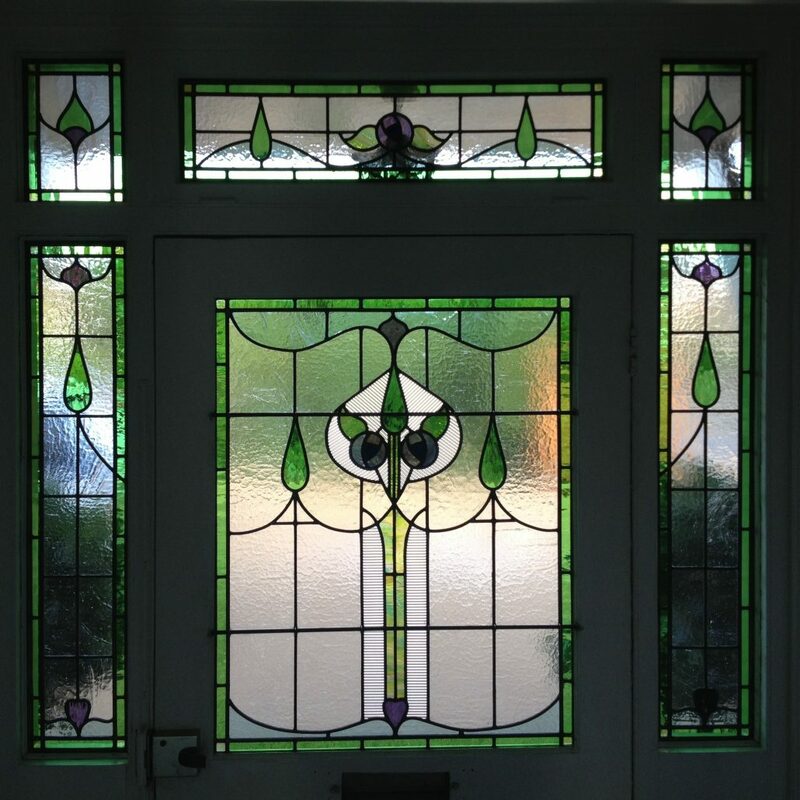 This scheme brought such character to this house and totally changed the front entrance. Using highly textured glass in places made this design sparkle.